In The Weiser Concise Guide to Practical Astrology, Priscilla Costello introduces the reader to the basic principles of modern astrology and unveils the secrets of this elegantly developed language of symbols. Costello shares with the reader both the philosophical and esoteric world view of astrology, while exploring the meanings of signs, planets, houses, and aspects on many levels, as well as its connection to psychology, religion and spirituality, and related esoteric studies. 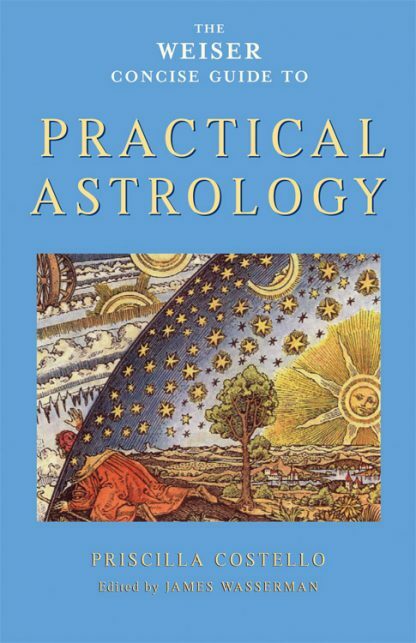 The Weiser Concise Guide to Practical Astrology serves as both a primer for the new student of astrology and a handy reference for the more seasoned practitioner. As complete as it is concise, this course of study delves deeply into the history and true spirit of astrology, making it accessible to all. James Wasserman is a lifelong student of religion and spiritual development. His writings and editorial efforts maintain a focus on spirituality, creative mythology, secret societies, history, religion, and politics. He is a passionate advocate of individual liberty. An admirer of the teachings of Aleister Crowley, he has played a key role in numerous seminal publications of the Crowley literary corpus. A book designer by trade, Jim is the owner of Studio 31. He has appeared on The History Channel, The Discovery Channel, National Geographic, Coast to Coast Radio and numerous podcasts, and has addressed National Press Club.